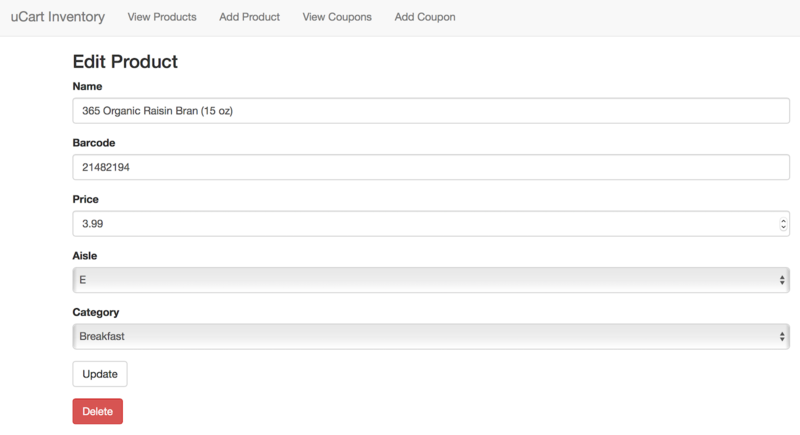 The backend of the uCart consists of a user interface and API to edit product and coupon information. The uCart app queries the uCart server to get information about a certain barcode. The API returns information about the product name, price, category and aisle. The app the displays this information to the user. The app also gets the latest coupon information from the server. 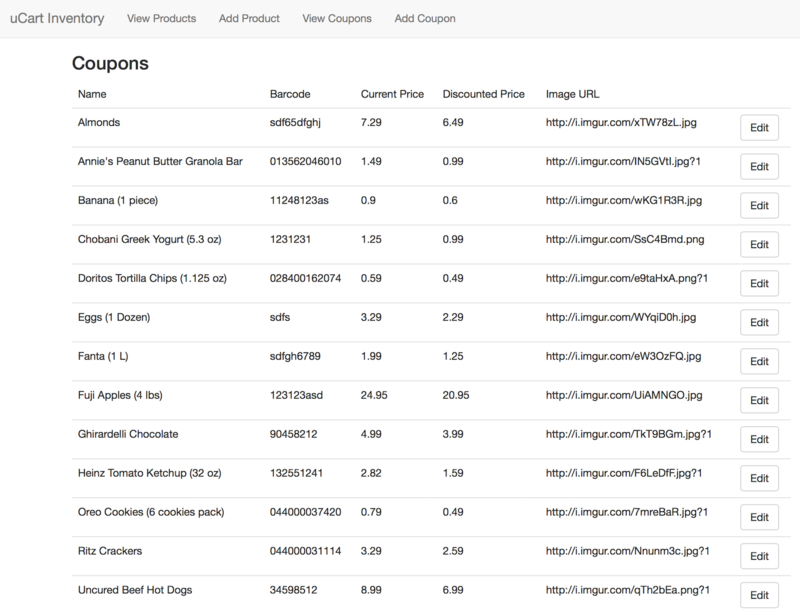 The API allows the app to query for information about individual products, get all products or get all coupons. 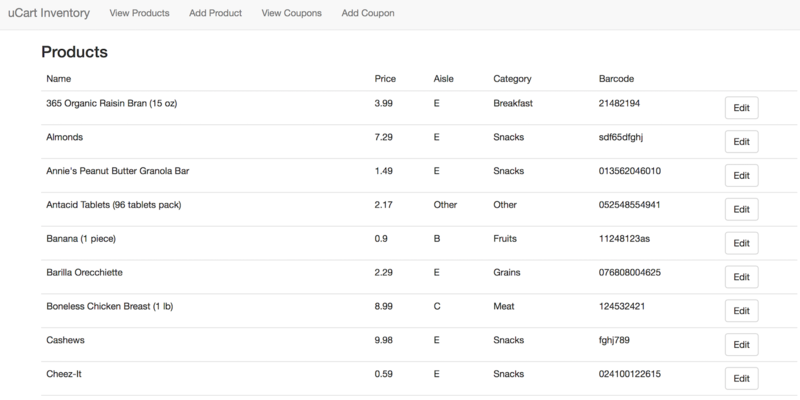 I also created an interface, so that a grocery store employee could enter add/edit/delete products and coupons. The interface displays all current products and coupons and provides a way to edit them. This application was created with NodeJS and runs on Heroku. It uses a Mongo database with the Mongoose ODM. It has an easy to use front-end, built with Bootstrap.